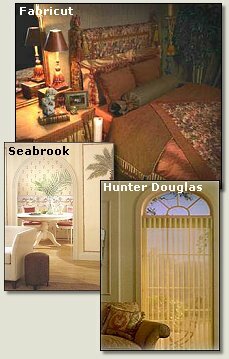 For the perfect finishing touch to your new project or remodeling job, Rebasco Decorators offers the quality of nationally recognized companies like Hunter Douglas, Seabrook, Olney, Schumacher, Key, Carole, and Fabricut. We provide all the services you would expect, from advice to free estimates. When you're looking to add that special something to your room, contact the pros at Rebasco Decorators of Fayette.